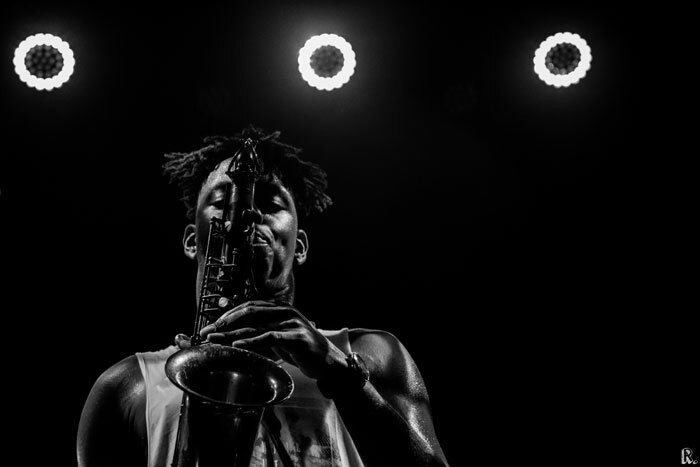 Shabaka Hutchings has always paid deference to, and pushed the envelope of the cultural traditions of his music. As a saxophonist, bandleader for Sons of Kemet and composer, he draws on his Bajan heritage, his London home and the US jazz greats to come up with his own free sounds. These have seen him record with the likes of Courtney Pine, the Sun Ra Arkestra and Soweto Kinch, share stages with King Sunny Ade and Orlando Julius, and earn numerous accolades including BBC Radio 3’s New Generation Artist 2010, the Paul Hamlyn Composer Award 2014 and Jazz FM’s Instrumentalist of the Year 2015. Recently he’s been drawn to South Africa’s musical lineage and met many musicians along the way. 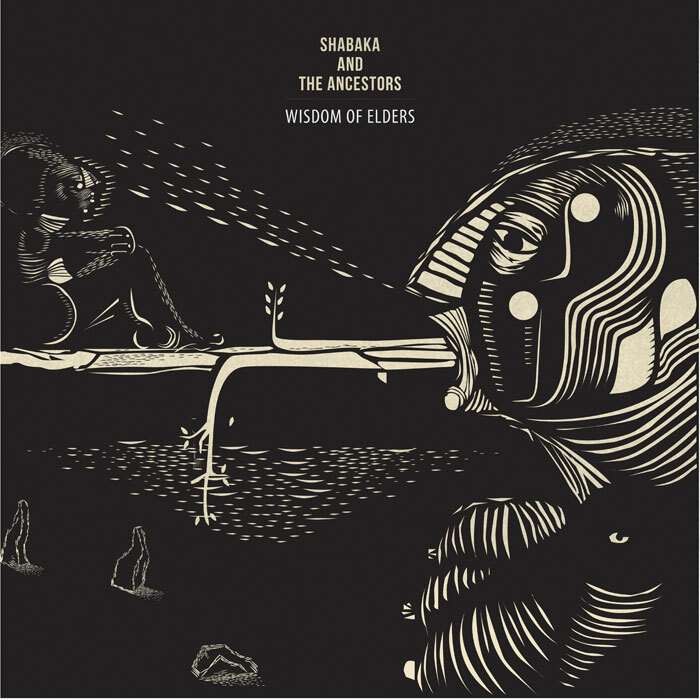 This has resulted in his latest project, Shabaka and the Ancestors. Joined by Mandla Mlangeni (trumpet), Mthunzi Mvubu (alto sax), Siyabonga Mthembu (vocals), Nduduzo Makhathini (rhodes, piano), Ariel Zomonsky (bass), Gontse Makhene (percussion) and Tumi Mogorosi (drums), the eight-strong group recorded the new album Wisdom of Elders in Johannesburg in just one day. The six-hour session resulted in nine songs, each one a dizzying, uncompromising journey through the influences that brought them all together, from Hugh Masekela to Miles Davis and from Calypso to Nguni. Here Hutchings reveals all. How did you you first came to start collaborating with South African artists? I've been going to South Africa twice a year for the past three years, each time playing with local jazz musicians and trying to book as many gigs as possible. In Johannesburg it's clubs like Afrikan Freedom Station and The Orbit. In Cape Town it’s Tagores and Straight No Chaser. I met Mandla Mlangeni (bandleader of the Amandla Freedom Ensemble) first, and he introduced me to a lot of the players involved with this project. I recorded on his album, Bhekisizwe, last year. I met Nduduzo Makhathini at a concert in Cape Town. We enjoyed each other's energy on stage and had a really great rapport when chatting about music after our gigs. A few months later I got a call to join his ensemble for a show in Lagos and that started our relationship. I recorded on his album, Icilongo, the day after The Ancestors was done. Siyabonga Mthembu is the lead singer in my favourite South African group, The Brother Moves On. We've had an on-going collaboration happening for the past couple years whereby when his band comes to Europe we perform together and vice versa. What is it about South African jazz that excites you? I love the fact that many of the jazz musicians there are essentially into the same core artists as I am but have different voices. They tell different stories with the same vocabulary. This fires me up and makes me rise to the challenge of trying to connect my experiential knowledge to theirs. These guys also have a great sense of how to play within an incredibly intense space. Sometimes just within the opening melody of a tune there's so much vibe I'm overwhelmed but they keep pushing, trying to attain an energy that, in my opinion, is unrivalled by anything I've heard on UK shores. Please explain the album’s title. I see energy as being a form of wisdom to be passed down through the ages. When we study the music, the lives, the words of our master musicians we obtain a glimpse of that artist's essential energy source. This is the core vitality of the individual that leads them to utilise the musical specifics of their chosen genre in a way that mirrors their inner source of power. This is an intuited wisdom that's handed to us from the legacies of our elders. What were the most invigorating moments of the album's recording session? The most surprising aspect was simply that we were able to finish it within six hours of recording time (two of the guys had gigs in the evening). In some ways I think that deadline helped us to focus and make every take count. Everything except the song Joyous is a first take. The atmosphere was one of trying to capture a moment in time together as opposed to labouring over an album with expectations. Myself and Tumi were the first to arrive and were set up and ready to go with no sign of the others. So we decided to record an improvised duet as our opening offering for the session. This was totally spontaneous and of the moment. It definitely got my creative energies aligned for the music to come. What is unique about the mix of sounds, voices and messages on the album? I don't think there's a particularly unique mix of sounds. The instrumentation is pretty orthodox and sonically we aren't experimental. What I think is unique though is the combination of personalities within the music. Music is about attitude for me, and empathy for negotiating various types of attitudes within a group’s interplay. Also, I really love the combination of the voice and tenor saxophone. They sit in the same range and blend nicely together. I don't want to give the listener any messages from myself. All I'd like to happen is the facilitating of a space for the listener to think, reflect and hopefully grow. What are your plans for promoting the record? I've recently come back from Johannesburg where I launched the album at The Orbit. I'll be back in South Africa in February to do more shows across the country. And then we’re planning a European tour for March.